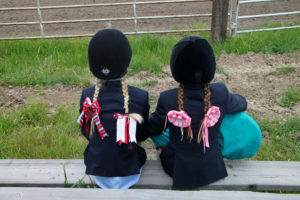 The winter is almost over and soon we will be sweating at the back gate in the summer sun of another horse show! While we are struggling through the rest of the winter with its surprise snowstorms and mud, we do have time to improve our horsemanship skills by reading! I love to read books by our Olympic team riders and their coaches. George Morris, Bill Steinkraus, and Bert De Nemethy are tops on my list, as well as classical horsemanship books by Poudouski, Chamberlain and Seunig. Reading these books will give all riders a deeper foundation of knowledge to help with many training and riding problems you may encounter along the way. However, I have not seen many books or articles about how to ride and train for the NEW handy hunter classes. I say ‘new’ with a smile…. because handy hunters were quite the norm in horse shows twenty years ago. Handy Hunters classes were designed to simulate real foxhunting conditions. Foxhunters are very comfortable galloping or trotting over uneven terrain, then standing perfectly still while the hounds are being cast and the riders enjoy a sturrip cup, or a bite of a sandwich. The riders can open and close a gate, as well as ride at a trot or walk over a low jump. So what exactly is the judge looking for in a Handy Hunter class, and how are these courses different from the hunter courses we have been doing? The word ‘handy’ means that the horse turns very well and stays balanced. 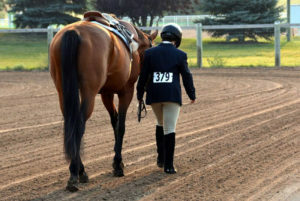 It also means that the horse can be ridden at different rates of speed according to what questions the course designer (or the uneven ground) has asked. 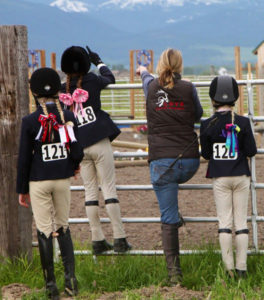 Handy Hunters classes can have sharp turns as well as a walk, trot, or a gallop fence. Possibly even a halt on course or the rider can be asked to open or close a gate. I design most of my hunter courses with a single fence to start, and this fence should be ridden in a normal ‘course’ canter. Later fences on course that are set in lines, as well as the combinations, will usually be set for 12’ strides, and should be jumped in the correct number of strides. But if you have a small or short-strided horse, I believe it makes a better overall picture to add a stride in the longer lines that are set at 72’ or more. Handy Hunters are about being balanced and riding with horsemanship and judgment. If the hunter classes are held on an outside course, safety is paramount, and as a judge, I will not harshly penalize riders who trot the turns or add strides in the interest of safety! A balanced ride over fences will always get better scores than a rider who runs too fast trying to make the correct number of strides! 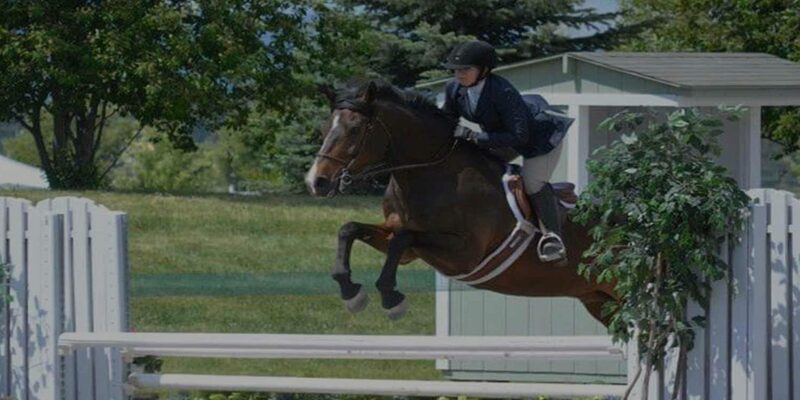 More and more judges are realizing that ‘one size does not fit all’ when it comes to striding between fences, so you should ride what feels safe to you! Do not run so fast down the lines trying to make the strides that you end up landing out of control and racing around the corners, especially if there is a trot fencecoming up! When a trot fence is on course, be sure to slow down smoothly on your way to the trot jump, and keep your horse balanced, straight, and on the bit in the downward transition. Trot the fence with balance, avoiding a cantering stride on the takeoff side of the fence, land cantering on the correct lead, if possible, and gallop away smoothly to the next fence. You can gain extra points by making the most of the transition from canter to trot by catching your correct diagonal – seamlessly – and trotting the small jump without looking down, jumping ahead, or worse…..getting left! If you land on the correct lead after your jump, that is best. If your horse lands on the wrong lead but can do a flying change smoothly, that is a wonderful way to show off your horse’s talents! But if you land on the wrong lead, I would rather see you balance on the counter canter and go forward with that, than to make a sloppy attempt at a flying change and end up with a cross-cantering, unbalanced horse! Of course, when needed, a horse can be brought to a trot to change leads, even though this will result in a lower score than the aforementioned ways of negotiating a corner. If there is an option turn between fences as in ‘go around’ or ‘turn handily’ you will receive more points for the shorter ‘Handy’ turn. So when you learn the Handy courses at the shows, look for any options that may have been built into the course! Be sure to find where the trot fence is, and to see if any other tests are part of the course. There could be a walk fence, in which the horse is brought to a walk, hops the fence and canters away to the next jump on course. There could be a gate to open and ride through and close, or even a place to dismount and lead your horse over a low obstacle! There may a test of halt & stand or of backing a few steps before continuing the course. In the normal hunter classes we have been showing in, maintaining a steady rhythm on course will get you the most points, and any variation of pace or speed will result in points lost. Handy Hunter classes are different because they require a rider to change pace according to the tests built into the course, as well as the footing if it is an outside course. Have fun practicing the various Handy Hunter tests you may find this summer at some of the MHJA shows!